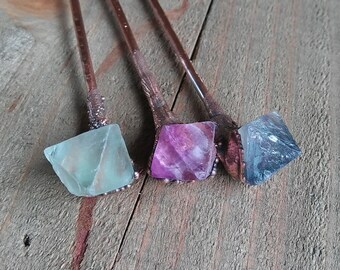 Fluorite Hair Sticks made by copper electroforming. 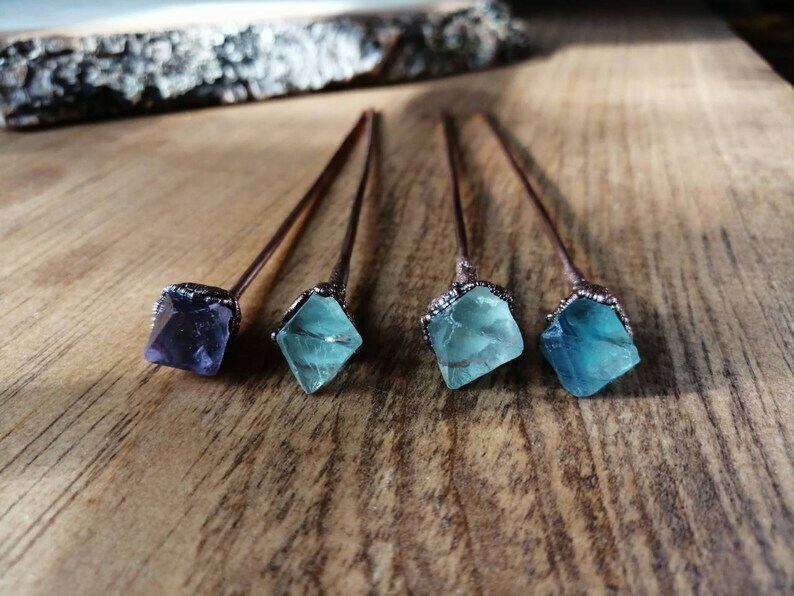 These are super cute and unique hair Pins for your hair. They have an unique Rustic look and feel. The copper was aged, polished and sealed. Each pin is over 5 inches long. Please view all the images and pick from one or more at checkout. You will receive the pin you choose. Shipping is done within 24 hours except for Saturdays after noon and Sundays. 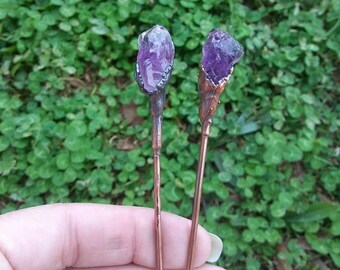 I have other pins available and if you would like a custom order please message me.